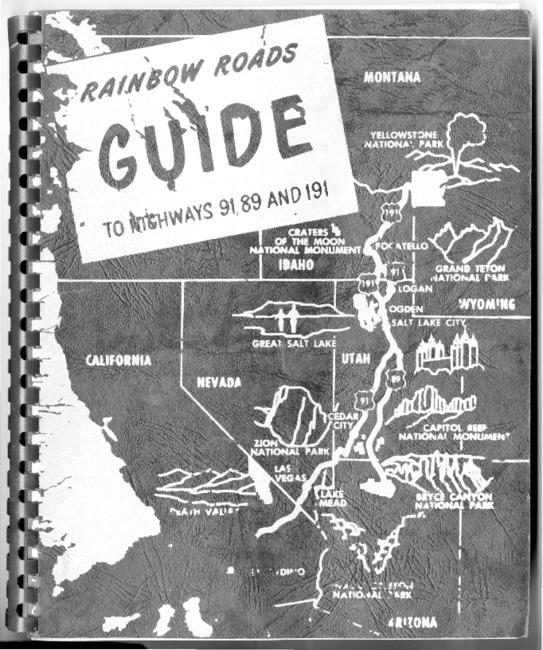 Rainbow Roads guide to Highways 91, 89, and 191: from San Bernardino to Yellowstone / compiled and edited by Ward J. Roylance. Is from the library of S. George Ellsworth and is comb-bound. Roylance, Ward J. 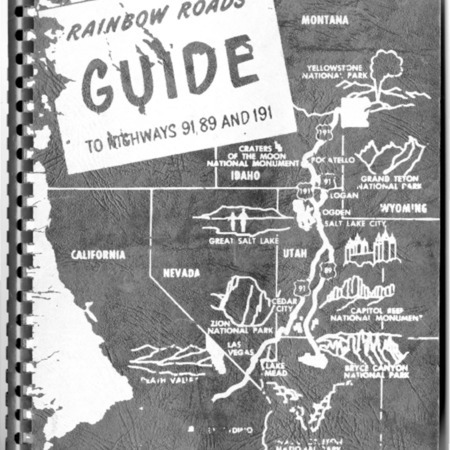 (Ward Jay), 1920-1993, “Rainbow Roads guide to Highways 91, 89, and 191 by Ward J. Roylance, 1953,” Highway 89, accessed April 22, 2019, http://highway89.org/items/show/10270.